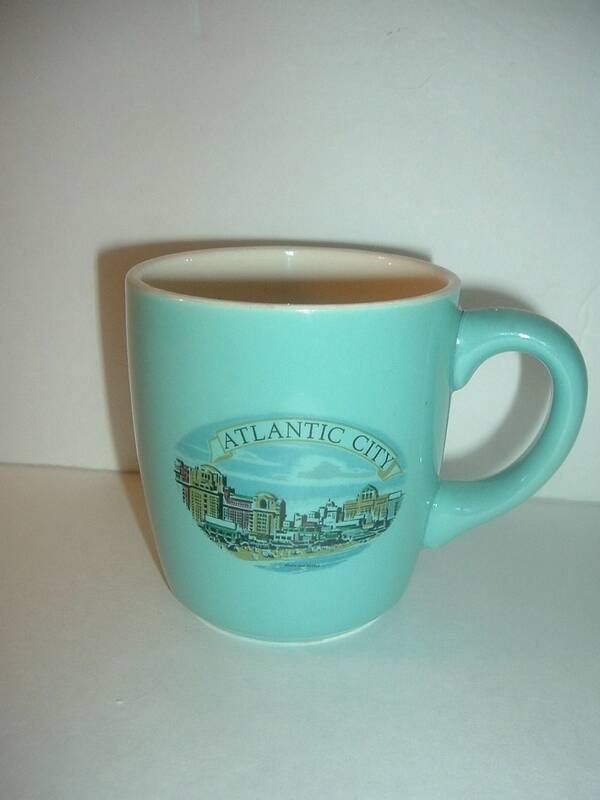 This vintage Atlantic City "Beach and Hotels" souvenir mug measures approx. 3.5"H and 4.5" from handle to opposite rim. It is excellent with no chips, no cracks, and no wear or staining. 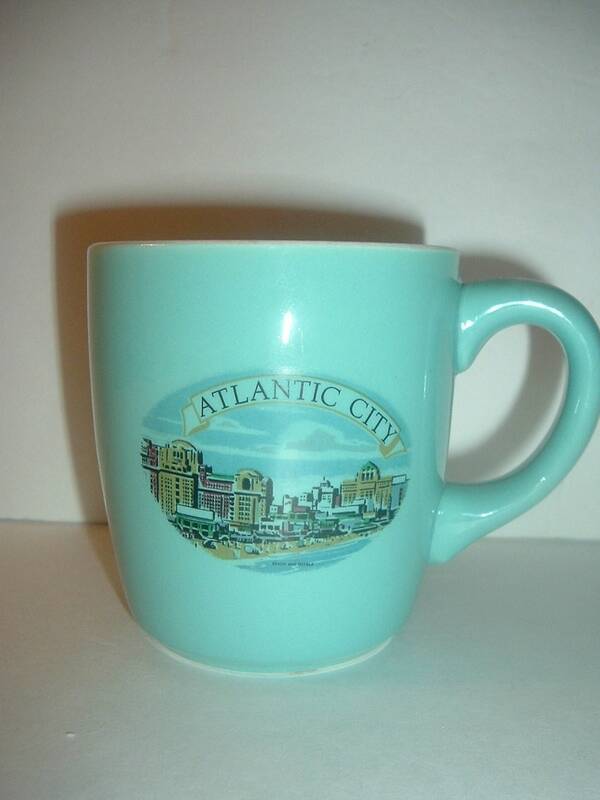 I see a factory grain under the paint and glaze, on the backside of the mug. 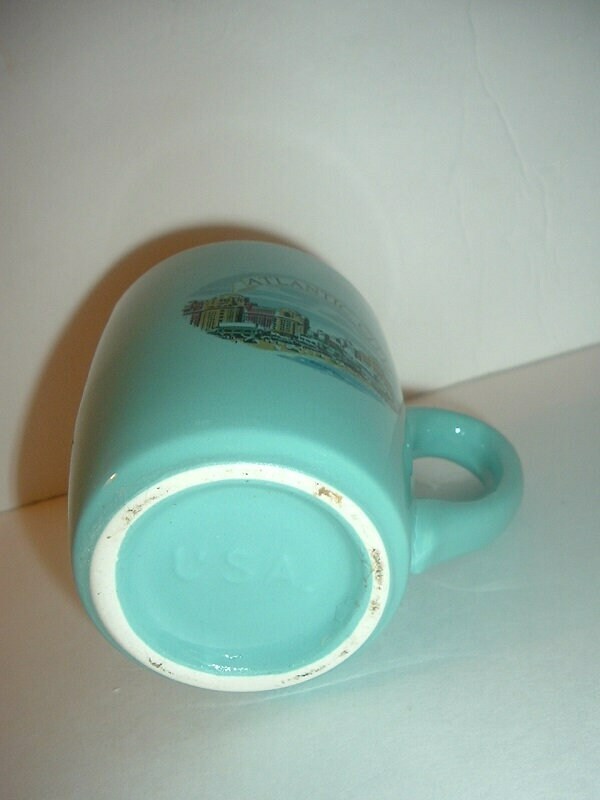 There is a raised USA mark on the bottom. Cool! I gladly combine shipping.